There is a book on Sierra Nevada ski history, called Mountain Dreamers. It's a history of the ski pioneers in California's principal mountain chain. Old friends Charley Proctor and Nic Fiore are portrayed inside, along with many others who made the Sierra Nevada what it now is in the wintertime. It was folks like these who got me hooked on skiing at Yosemite National Park over 54 years ago, as well as Doug Coe (backcountry skiing mentor and race timer), Rusty (ski race coach), Mary Proctor (winter club guru), Bob Mead (ski teacher), Bob Barbee (melodramatic ski enthusiast with end-of-day popcorn bowl at bottom of the 7-mile downhill cross-country ski run), the Woessners (ski community glue and race day volunteers), and memories of all of them are with me now. And so I thank those from Yosemite who got me started at experiencing this marvelous winter outdoor activity and getting exposed to organized skiing through the ski patrol, winter club, and race team. Then there were years in Squaw Valley, California, where I was more of a hanger-on skier in the ski community than a direct participant in organized skiing., but even so gleaned more ideas from the professional skiers there--like Stan Tomlinson and Lito Tejada Flores. Another source of inspiration has been the big grins that appear spontaneously on student skier's faces when I have managed to impart a coaching tip that resulted in a series of turns not only more successful functionally, but also more fun than any before. (Is that why the letters f-u-n start the word function?) I'll not forget one older lady who dropped her weight in one year from 290 pounds to 130 so she could ski again and did so with me on Christmas day. Her elation was wonderful to see, but as marvelous was her husband's pride in her, judging by the tears in his eyes after he had watched us discreetly from behind a tree. There have been others who continued the sculpting of me into a skiing being, of course. My son, Russell, raced as a youth and then professionally. The understanding he came to have of what makes a ski work he has shared with me; he never did like to talk much, so when he gave me an idea, it was always phrased in only a few words. That has been a hard act for me to follow here in written form, but thanks to his coaching and the more practical environment on the ski hill I do much better in keeping things succint there. And of course I have had many coaches in Colorado, including those at Copper Mountain, Loveland, Keystone, Breckenridge, Vail/Beaver Creek, and Arapahoe Basin ski areas, where I have worked, with training by Michele Fuller, Tom Newman, Tom Banks, Bob Barnes, Sue Campbell, Kim May, Ewald Zerbriggen, Phil and Steve Mahre, Stefan Hensch, Hank Thies, Freda Nieters, Steve Eskin, Gates Lloyd, Burt Skall, Wolf Skall, Annie Black, Chuck Wagner, Peter Kranz, Jim "Bomber" Banks, Chuck Creene, John McEwan, Joe Wilson, Chris Heidebrecht, Scott Provorse, Chad Zigler, Dan Dacy, Russ Strickler, Dave Clymo, Serge Coutett, Patrick Brauge, Freddie Tronier, Don Coleman, Jeff Bergeron, Coach Willy, Rich Berg, Bill "Slotcar" Sloatman, Leon Josef Littlebird, Lito Tejada-Flores, Jennifer Metz, Todd Metz, David "Dogger" Hidalgo, Chris Easton, Dave McGuire, Carol Levine, Martha Marno (Rose), Brian Blackstock, Joanna Hall, Rich Reiter, Jon Robinson and more. 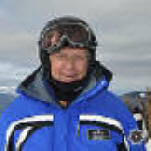 Many on this list were clinicians and examiners of the Professional Ski Instructors of America. Training also included that by national demonstration team members Victor Gerdin, Brian Maguire, Terry Barber, Dee Byrne, Jerry Berg, Doug Morrison, Rob Sigord, Jay Evans, and more, and even a U.S. Ski Team coach--Boone Lennon plus team consultant and biomechanics teacher Ron leMaster. This is not to mention the authors of books and video and apps from which ideas have been gleaned. A great thing about the ski industry is the general willingness among its professionals to share ideas, and, so, much shaping of my ideas has come from fellow instructors and gate-running coaches and chums, with whom I have enjoyed many pleasant ski times and usually (not always) amicable discussions about how to make a ski turn better both to the left and to the right. This "Skiing is a Sliding Sport" manual exists because of the generosity of all the above and I only hope that I have expressed the ideas gleaned from them in ways they would have done themselves. This "Acknowledgements" page last modified 11/03/2017 07:21:35 AM. Did you come here from a link on another website? For latest version of this page, copy to your browser: http://www.SkiMyBest.com/skiackno.htm. Copyright © 2013, 2014, 2015, 2016, 2017, 2018, 2019. William R Jones.